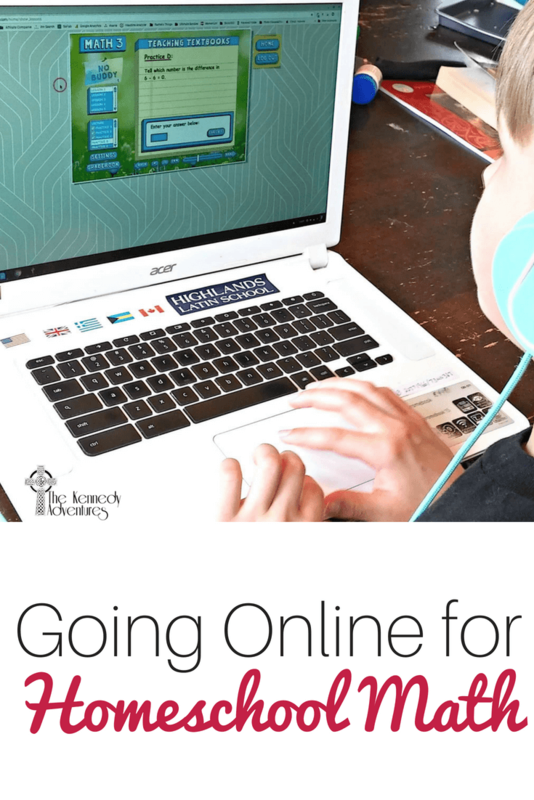 Looking for a homeschool math curriculum that you can use online? 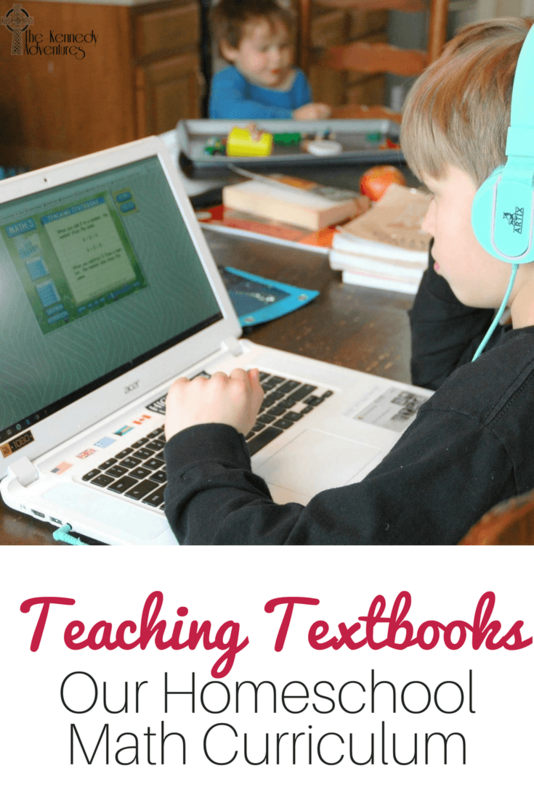 We’re talking about our experience with Teaching Textbooks 3.0, and why you should consider it for your homeschool, too. I’m fairly comfortable with some aspects of teaching — phonics and reading, literature, (including my favorite, Greek Myths) and even Latin. Even though I’ve moved into ‘experienced homeschool mom’ status, there are still some subjects that make me want to throw in the towel some days. As a writer, it shouldn’t surprise anyone that math is not a source of joy for me. I made it all the way through pre-calculus and pre-trigonometry in high school, then College Algebra and finally Statistics – worst class EVER. I can handle elementary math without much issue, but once we start moving into multiplication, division and more difficult concepts, I’m sunk. Thank goodness for Teaching Textbooks. Disclaimer: I’m a Teaching Textbooks Champion, but all advice and opinions provided here are my very own. We switched over to Teaching Textbooks for our homeschool math curriculum a few years ago, when my daughter and I were having daily math battles. She still doesn’t love math, but having a self directed homeschool math program has saved me a immeasurable amount of time and stress. Getting started with the online version of the Teaching Textbooks homeschool math program is super simple. Just follow the on screen prompts and add in your children. 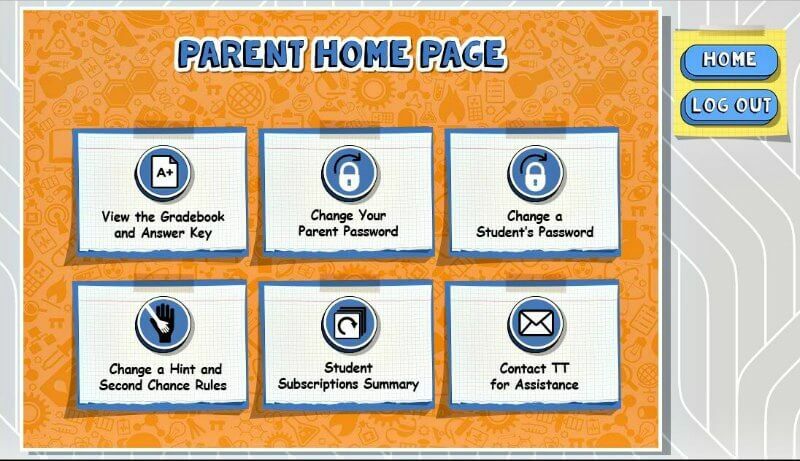 Within the parent dashboard, you’ll see lots of options. You can toggle the selections to easily customize your experience. If you explore the lessons, you can get a feel for how they are set up, and you’ll be able to serve as a resource for your child. A Teaching Textbooks lesson is around 20 minutes. The lesson starts with a lecture, followed by practice problems. Periodically, you’ll find bonus rounds, quizzes, and chapter tests. You’ll want to look through the teacher’s manual for the level your student is studying. This will give you an idea of when students will come across specific concepts so that you’re prepared. The manual is now included as an ebook within your family dashboard. 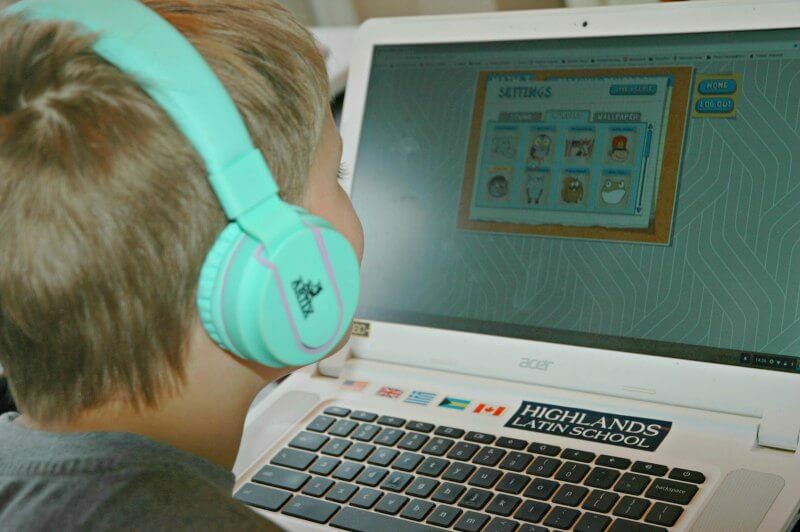 Since we’ve used the Teaching Textbooks homeschool math program for a number of years, I just give my kids the laptop and their bluetooth headphones and let them get started. Here in Kentucky, our homeschooling laws are blessedly relaxed. If you live in a state that’s more regulated, you’ll be glad to know that Teaching Textbooks makes record-keeping and grade monitoring very easy. 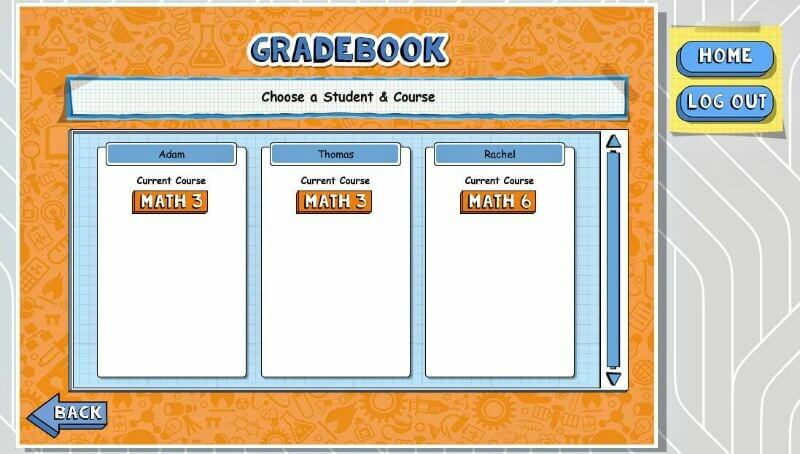 You can print out the gradebook with a push of a button. It’s easy to print out a record of your students overall grade, or even a detailed lesson by lesson report — whatever you need. As a Teaching Textbooks parent, the gradebook is the primary place I hang out. It’s important to make yourself familiar with all the different components. When looking at the scores in your child’s gradebook, be sure and click on the final score to get the real picture. This breaks each question down and allows you to see second attempts and hints. It’s your key to understanding if your child is really grasping the material. If they’re getting the question correct, mostly on the first try, then you’re golden. If they’re getting mired in second attempts, then you may need to take a closer look or review the lesson again. Can I use Teaching Textbooks with a Tablet? Our iPad is fairly ancient, so I haven’t tried using the browser there for Teaching Textbooks online. Since my boys have some learning issues, I’d love to see an option that is just bit simpler, visually. Having a lot of background distraction can be difficult for my guys. You can remove the buddy, for less visual and auditory distraction. To keep us on track, I’d be thrilled to have a weekly progress report emailed to me weekly as a reminder of where the kids are, etc. Where Can I Buy Teaching Textbooks? Instead of physical discs (which got lost all.the.time in my house), Teaching Textbooks 3.0 is a subscription based service, lasting 10 months per student, per course. The big spiral bound textbooks that you’re used to seeing on your shelves are available within the program as an ebook for easy reference. Need to print out the e-book? That capability will be added shortly. Prices for student subscriptions range from $39.99 to $59.99, depending on the course. Big families with multiple students enrolled would be eligible for a discount. 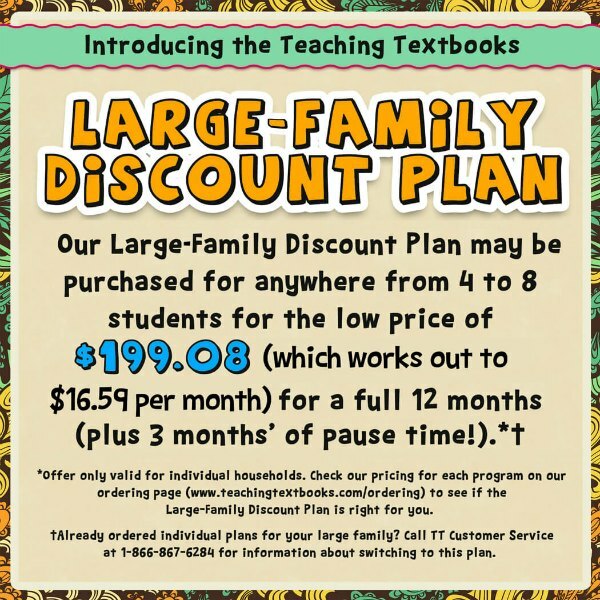 If you have 4 or more students enrolled in Teaching Textbooks, you can switch to a flat price of $197.08, or under $50 per student, per year. You can enroll up to 8 students in your family, bringing the cost down to under $25 per student, per year. Hooray! If your homeschool gets derailed for a period of time, no worries. You can even pause your subscription (over in your parent dashboard) for up to 180 days. But, what if a family prefers a physical version? No problem. The Teaching Textbooks 2.0 version with CDs and textbooks will still be available for purchase. 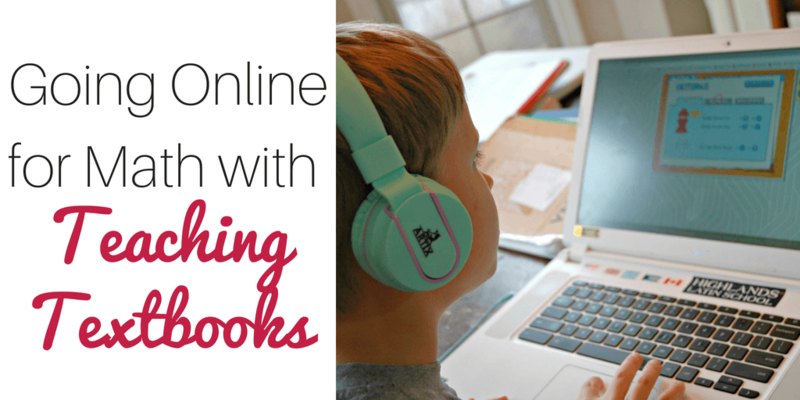 I LOVE the new option of a web based homeschool math program, because it frees up our schedule. Before, with Teaching Textbooks 2.0, I had to assign the kids to a specific time slot to access the program on our desktop computer. Now, with having our homeschool math curriculum online, I can have all three of my big kids doing their own math programs together. The program is affordable, with discounts given for multiple students. 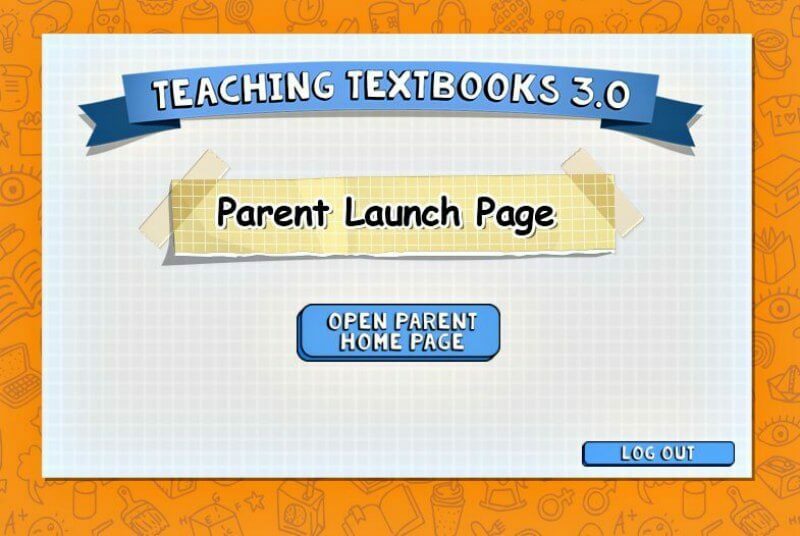 For a limited time, you can even enter to WIN your choice of one Teaching Textbooks 3.0 level for your family. If you research what types of math curriculum to use with dyslexic or dysgraphic students, you’ll see Teaching Textbooks mentioned frequently. Within our classical curriculum, we have a lot of physical writing. 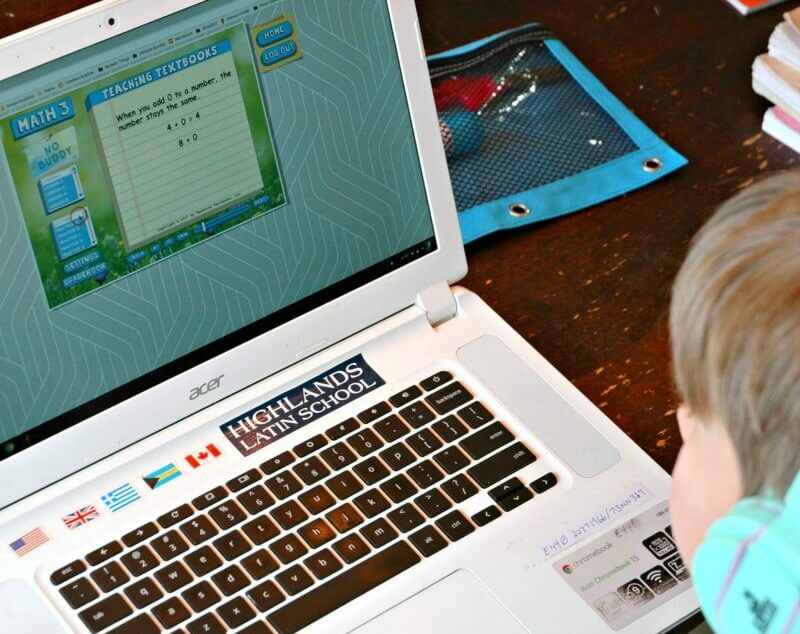 Having a homeschool math program where my boys are able to type in their answers helps them tremendously. If they need space to work out a problem, we use a whiteboard and dry erase marker. It offers them some independence and control over their math program, and frees me up to focus on areas where they need extra help. Be sure and follow Teaching Textbooks on Facebook, Instagram, Twitter and Pinterest for the latest news and updates. What about you? Have you used Teaching Textbooks as your homeschool math curriculum? What’s holding you back?